Add a fabulous bracelet to your Nikki Lissoni collection and wear your favourite coins in a new way! 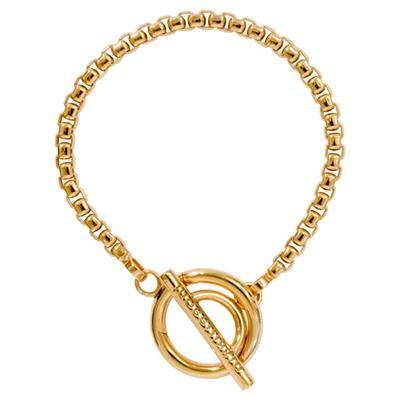 This 19cm Nikki Lissoni bracelet has a yellow gold plated link chain with a t-bar clasp that holds your carrier and coin where it hangs delicately on your wrist. Choose from a beautiful selection of Nikki Lissoni coins in three different sizes to create a unique look to fit your style.